Costa Blanca refers to the coast of the Valencia Region, and its length is 220 km, from Denia and ending coast of Orihuela Costa. Major cities that are part of the northern Costa Blanca is Denia, Calpe, Altea, Benidorm and Alikinte. seawater temperature + 25.6 ° C in summer and + 11.2 ° C in winter, and the number of warm and sunny days in a year exceeds 300. Relief of the North Costa Blanca - Mountain. Mountain Bèrnia suited to the sea, forming a picturesque bay. The coast is famous for its extensive sandy beach town of Benidorm, San Juan and Calpe. This is some of the best beaches in Europe. Since then, tourism has become the main specialization of the Costa Blanca, scattered on its coast fishing villages of Altea, Calpe, Albir, Benissa, Moraira, Habiya turned into a resort town. In recent years, very popular real estate in Spain, in the region. 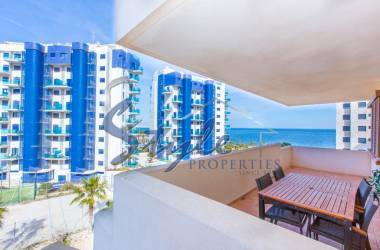 Here you can buy a home with views of the sea, town houses for the whole family and sunny apartment on shore and in the center of cities. Alicante - the administrative center of the Costa Blanca, with a population of 335.000 people and a pronounced character of the seaside town. At 10 kilometers from the center of the new airport is built on the latest technology, as well as in the heart of the bus and train stations. Recently it completed the construction of high-speed rail line that will link Alicante with Madrid. The city is famous for the two berths for yachts and commercial port, as well as the presence of the historic fortress of Santa Barbara, which is of a size and structure is one of the largest on the Mediterranean coast. It is located on the top of the mountain slope benacantil -skalistoy boulder overlooking the sea at 166 meters. For people who want to buy property in Spain, in the big city and still be close to the sea, Alicante - the perfect choice. Very attractive place to live is a small seaside town of Altea. The name "Altea" is derived from the Arabic word 'Althaya', which means "health for all". The most beautiful building in the city, no doubt, is the cathedral of La Virgen de la Consuelo (with a blue dome), built at the highest point of the city. Around the Cathedral are cozy restaurants and cafes. Once in the town of Fine Arts Faculty was opened and built a new palace of music, Althea on the right was regarded as the cultural capital of the northern part of the Costa Blanca. 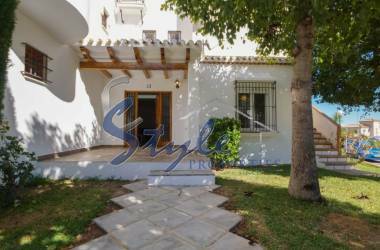 Buying property in Altea - is making the right choice, the choice of housing construction with great quality, in a place with an excellent Mediterranean climate. Terra Mitica - the youngest a theme park in Spain. It embodies the idea of the legendary Mediterranean civilizations. The park is divided into five thematic sections: Rome, Egypt, Greece, the Iberian Peninsula and a part devoted to the journey of Ulysses. Each part has its own special, peculiar only to her, attractions and entertainment. Aqualandia - one of the largest water parks in Spain Mundomar - dolphins, seals, exotic birds. Benidorm Palace - the best in classic Spanish ballet and variety shows. Possible Activities: trips - Bus tour in Guadalest, Finestrat, Orcheta, Seya, Althea, to the fountains of Algar and the city of Valencia. Travel by boat to the island of Benidorm. Water skiing - the only platform in Spain for water skiing. Water sports - diving, sailing, windsurfing. Adventure Tours - Jeep safaris, bike tours, climbing. Anyone who wants to, buying property in Spain, live in the city of skyscrapers, called "Little New York", we recommend to buy an apartment it is in Benidorm. The inner area of the Southern Costa Blanca is a plain, surrounded by a chain of mountains and covered with citrus groves. Coast Noted for its mild and healthy climate, salt lakes, inhabited by pink flamingos, the warmest sea, the largest number of sunny days. This is the place, where most foreigners towards the local Spanish population. Costa del Sur starts in Alicante - the capital of the province, located on the conditional boundary between northern and southern coast. Widely known for sandy beaches next city coast - Santa Pola, popular among lovers vintserfing. Not far from Santa floors, about two kilometers away, lies the island of Tabarka. The island has a length of two kilometers and a width of one kilometer. Earlier this place was a monastery, part of the monastery and to this day on the island. 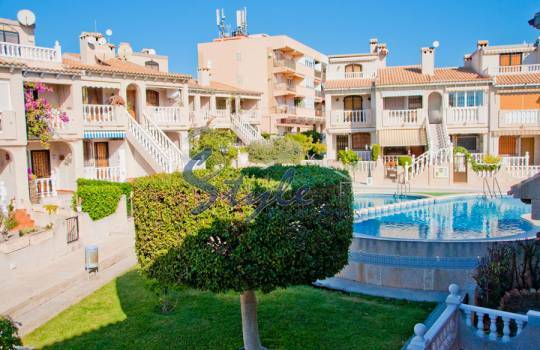 La Marina (La Marina) - a picturesque Spanish village directly on the azure of the sea! La Marina is very well located, 15 minutes from the international airport of Alicante, near the towns of Santa Pola and Elche, 5 miuntah from the popular resort Guaradmar. Within walking ezy are the famous salt lakes, where herds of pink flamenco, and the natural park "El Fondo". Magnificent dune beaches of La Marina and coastal park form a single natural complex. 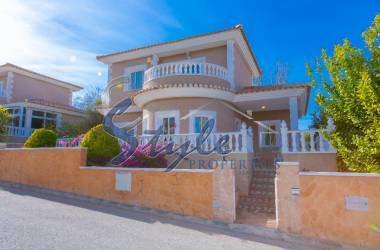 At 3 kilometers from the beach of the same name located urbanization of La Marina, the size of which is several times higher than the village itself. Urbanization is very popular among Europeans. Here is everything you need: medical care, bus stop, bars, restaurants, shops, pharmacy, veterinary clinic, mini-golf courses, municipal swimming pool and much more. Guardamar del Segura (Guardamar) - a paradise in the south of the Costa Blanca, where you will find beautiful parks with pine, palm and eucalyptus trees; wide promenade with numerous cafes; sports complex with indoor and outdoor pools, tennis school for children and adults; colleges, medical care, boutiques, as well as the yacht port, cycling routes and much more. 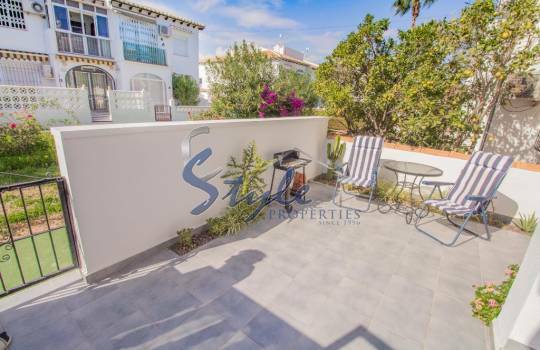 Clean air, dune beaches of total length of 12 kilometers, pine and citrus groves, hills covering the town - all this creates a special microclimate, ideal for all year round living! 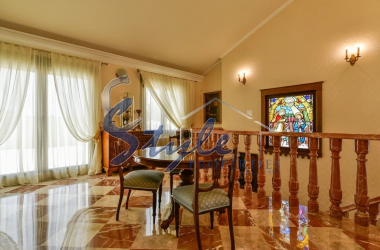 You can choose luxury real estate or apartments of economy class in Guardamar. 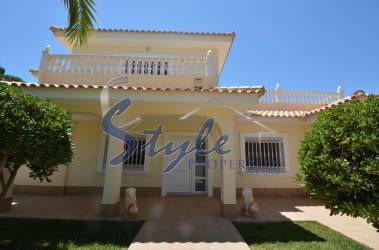 Buying property in Guardamar is beneficial INVESTMENTS your funds in the Spanish real estate. 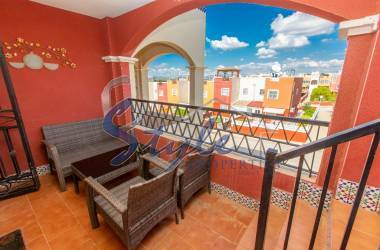 Ciudad Quesada (Ciudad Quesada) - an elite area with developed infrastructure, 5 kilometers from the beautiful dûnovyh beaches of Guardamar del Segura and in the immediate vicinity of the protected lake Laguna de La Mata. Ciudad Quesada offers a wide selection of bars and restaurants, shops, shopping centers, bank offices. Very close by are golf courses, a water park, natural pine park with recreational paths and areas, barbecue places, bus stops, medical care, school. 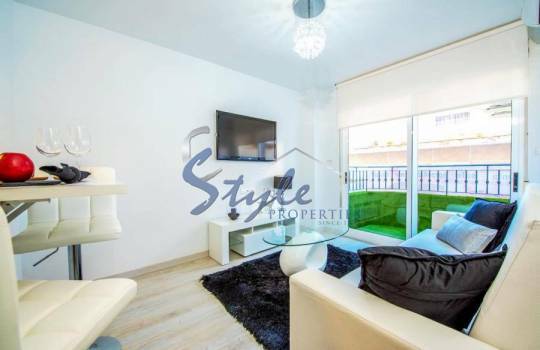 If you buy a property in Quesada Syudad you opt for quiet measured way of life in one of the best places in the south of the Costa Blanca, in the exclusive area where your Spanish property will always be in the price. La Mata (La Mata) - a small cozy town between Guardamar and Torrevhoy. The city is known for its clean beaches with golden sand, an extended quay, where you can go for long walks along the sea, as well as proximity to the conservation area of natural salt lakes of Las Lagunas. Every Wednesday in the streets scatter market, where you will always find a large assortment of the freshest fruits and vegetables. From La Mata to Torrevhi center is only 5-7 minutes by car. 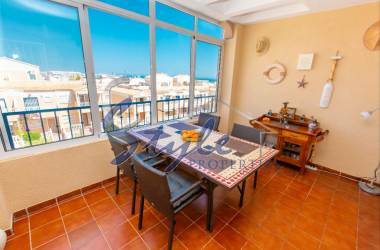 Buying a property in La Mata - a guarantee of a great holiday on the Costa Blanca all year round! After the bathing season from May to October, and the weather is always warm and sunny. Torrevieja (Torrevieja) - continuously developing resort, which is 35 km away. south of Alicante. In and around the city there are many monuments. These include the lighthouse of the fourteenth century, which gave the city its name ( "old tower"). Nevertheless, modern Torrevieja - one of the young, dynamic and fast-growing cities in Spain. The main natural feature of the city is its location - in the plain between the sea and two large lagoons, so the climate in Torrevieja is very mild: there are no strong heat in the summer, and in winter the temperature does not drop below 16 degrees. 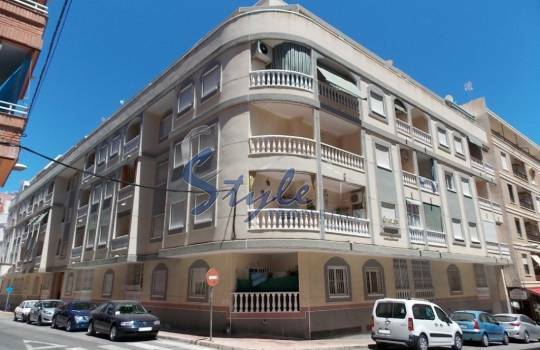 You can choose a cheap apartment on the beach of Torrevieja or low-cost house. 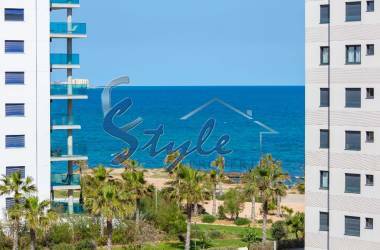 You can choose a cheap apartment in Torrevieja or a cheap house near the sea. 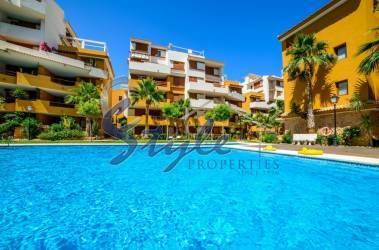 Buy Property in Torrevieja - very profitable investment of your money, as the ratio of the quality of housing, and prices for it in this town the most favorable. Orihuela Costa is famous for its pristine beaches with white and golden sand, a total length of 16 km. All beaches are well-appointed, with marinas marked with the blue flag of the European Union. Here are 3 of the best and most prestigious on the coast golf course, a huge amount of entertainment and shopping centers. 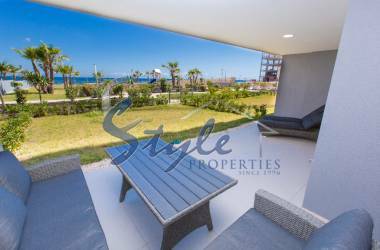 Punta Prima (Punta Prima) - a small sunny town, with a warm temperate climate and real estate, which is always appreciated and has been popularized by the great beaches, well-developed infrastructure and a wide range of housing. Here are the new gated residential complexes, shopping malls, restaurants, cafes, shops, hotels, SPA-salons and fitness clubs. Here you can buy a luxury apartment on the beach or cost apartments on the Mediterranean coast. Los Altos (Los Altos) - a popular resort area of Orihuela Costa. 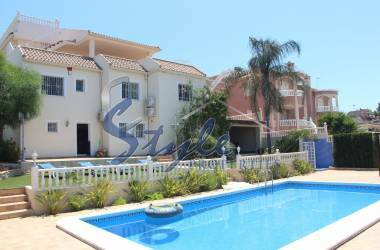 It located just 2-3 km from the sandy beaches of Punta Prima. Los Altos is very popular both among the Spaniards, and among European tourists. Nedvizhmisot in Los Altos are always well appreciated, because It has excellent potential for rental and for sale. You can buy in Los Altos cheap property within walking distance to the beach. In Los Altos excellent infrastructure. Nearby there are several supermarkets, bus stop, school, bars and restaurants. The center of Torrevieja only 7-8 minutes. 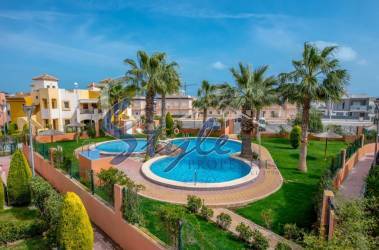 Los Balcones (Los Balcones) - an elite district of Torrevieja, situated on a hill, next to the salt lakes, only 3 kmilometrah from the center of town and the sandy beaches. The excellent infrastructure: Located next to a new, modern hospital, bus stop, supermarkets, bars and restaurants, four-star hotel with spa complex. 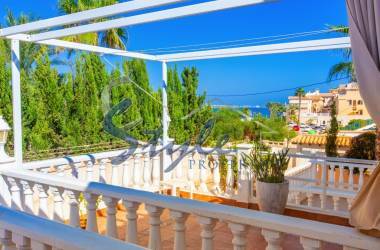 If you want to enjoy a relaxed lifestyle, beautiful scenery, fresh air and birds singing in the morning, then go ahead and choose a cheap house or a luxurious villa on the coast of Spain Sredizemnomrskom in Los Balcones, you can not go wrong! Playa Flamenca (Playa Flamenca) - a popular resort area on the coast of Orihuela Costa. There are more than 320 sunny days per year and an average annual temperature of 23ºC! The magnificent sandy beach and the warm Mediterranean Sea, along with an excellent infrastructure make this area attractive for tourists from all over Europe. In Playa Flamenca great selection of bars, restaurants, pubs with live music, shopping centers. Within a short drive are the famous golf courses Vijamartin and Las Ramblas. 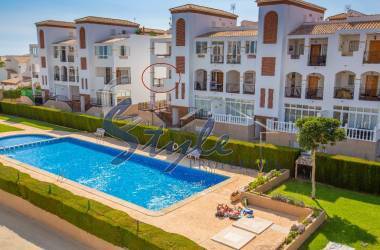 You can buy a cheap apartment or townhouse in the Playa Flamenca in a gated complex with swimming pool and landscaped area, cottage or villa with land. 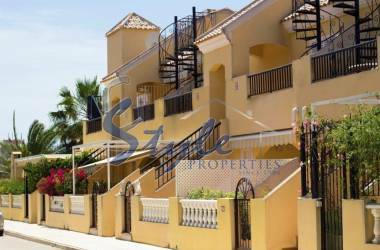 By purchasing real estate in Playa Flamenca, you make an excellent choice! 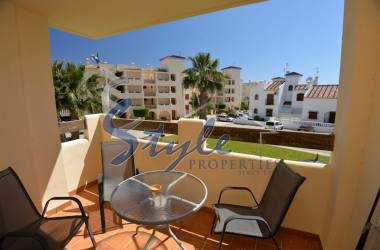 La Zenia (La Zenia) - a great place for both holiday and permanent residence. 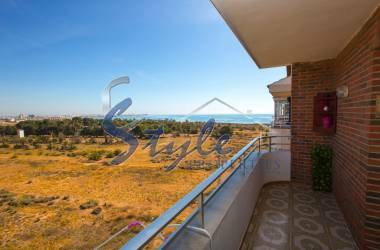 A wide range of properties to suit all tastes: some houses close to the sea, cozy bungalow, surrounded by parks and gardens, apartments with views of the beach - all this will allow you to enjoy the beautiful Mediterranean Spain. Nearby is a large shopping and entertainment complex "La Zenia Boulevard", where you will find everything for a great shopping experience. 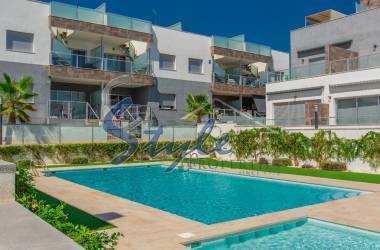 Cabo Roig (Cabo Roig) - an elite district in the south of Torrevieja, built private villas close to sandy beaches. In the area there are bars, restaurants, commercial centers, yacht club, tennis club, the club of equestrian sports and several golf courses. Most residents - Europeans, attracts the proximity of the sea and mild climate. 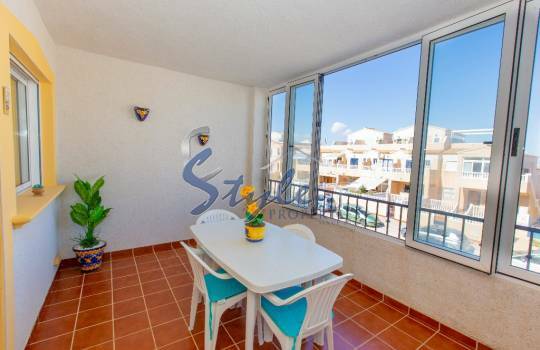 You can buy apartments in Cabo Roig on the beachfront with stunning panoramic views. Please also note your homes and luxury villas on the exclusive beaches of the Mediterranean. 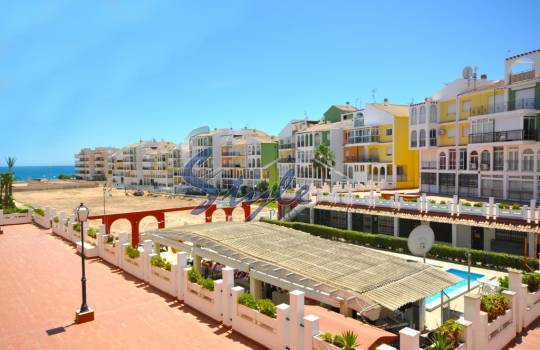 Campoamor (Campoamor) - coastal town and popular resort, located in close proximity to the sandy beaches. The area is built up mainly private villas, townhouses and bungalows. The proximity of the sea and infrastructure determine the popularity of the region among the Spaniards and other Europeans. 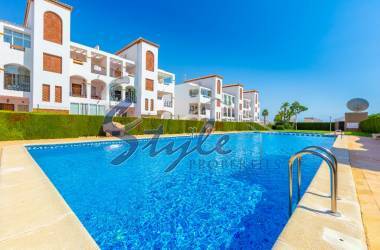 In Campoamor you can buy affordable apartments, as well as luxurious villa or cottage. Las Ramblas (Las Ramblas) - Famous golf golf course "Las Ramblas" are an integral part of the coast of Orihuela Costa. A 5-minute drive away beautiful sandy beaches. In the area of excellent infrastructure. With terrace and solarium house offers scenic views of green golf courses and pine groves. In Las Ramblas presented all kinds of real estate. Buy a private villa with a private pool, townhouse or apartment on the best golf courses Sedizemnomrya close to the sandy beaches of Orihuela Costa - Las Ramblas, you will realize your dream! 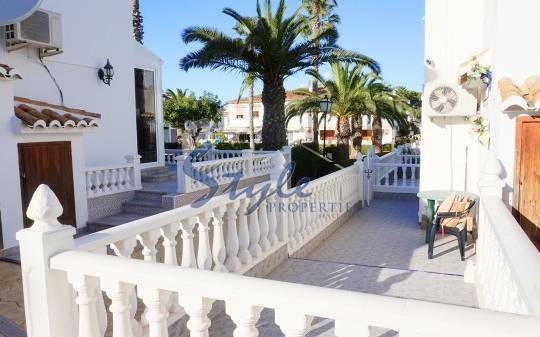 Villamartin (Villamartin) - is, above all, the greens the best golf courses on the Costa Blanca, quiet, tranquility, clean air, proximity to the beautiful sandy beach and a well-developed infrastructure. All this guarantees a high quality of life all year round. Nearby are shopping centers, bars, restaurants, sports complexes, British-Spanish College "El Limonar", shopping mall "La Zenia Boulevard." You can buy a cheap house in Villamartin and economical apartment or townhouse in a complex with swimming pool and green area.Mil Palmeras (Mil Palmeras) - if you want to buy apartments with a view of the sea near the beautiful sandy beach with a promenade, where you will enjoy the azure sea, the rustle of the palm trees and the breath of the warm breeze, you have to get acquainted with the area of Mil Palmeras that Spanish means "a thousand trees." Nedvizhimsot Las Palmeras will allow you to enjoy the year-round mild Mediterranean climate. In the area of excellent infrastructure and high quality service. 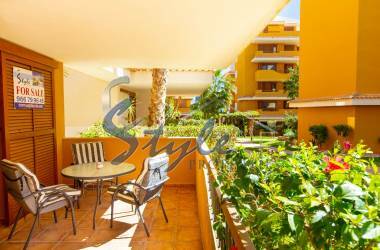 Nearby are the golf courses of Orihuela Costa, shopping complexes, the best bars and restaurants, Spanish, Asian and Mediterranean cuisine. Torre de Horadada (Torre de Horadada) - a dynamic resort in the southern part of the Orihuela Costa. First of all it is necessary to mention the 3 beaches of this small, friendly Mediterranean town. The Torre de Horadada 2 lagoon beach and one extended dune beach of golden sand. Great climate, proximity to the city of Pilar de Oradea, with its developed infrastructure, excellent connections to cities such as Torrevieja, Murcia, Cartagena and Alicante guarantee Vysk investment potential of real estate in Torre de Horadada. Very near are the famous mud baths of the Mar Menor and the thalassotherapy center Lo Pagán. 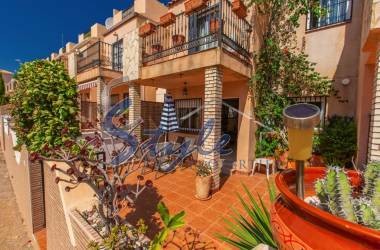 In Torre Horadada to a large selection of affordable property on the beach, owners. In the area of Orihuela Costa you can buy apartments, taunahus or cottage by the sea at a very attractive price.